Good quality flannel. Owl print is cute without being to childish. My daughter loves it. Cozy and warm. 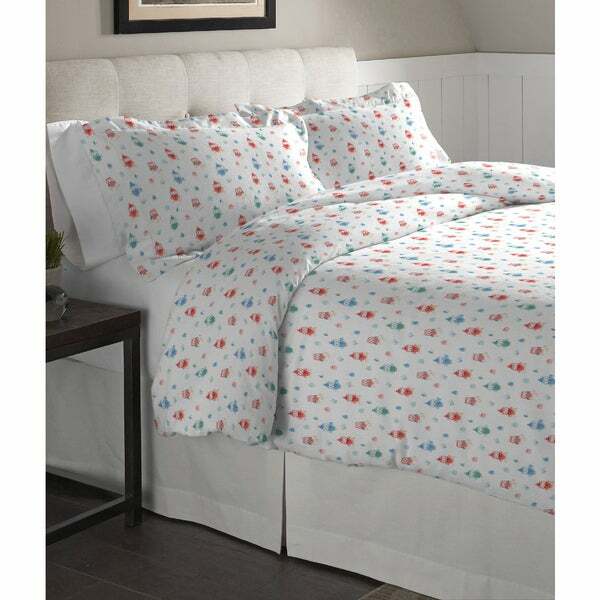 Have a fun winter with this adorable owl patterned 100% cotton flannel set. Pointehaven's 5 oz (175 GSM) flannel is made from single-ply yarns for soft and durable sheets. Available in a variety of colors and patterns to match every bedroom. Twin duvet set includes: 1 duvet cover: 88 inches width x 68 inches length and 1 standard sham: 26 inches width x 20 inches length, Full / Queen duvet set includes: 1 duvet cover: 96 inches width x 92 inches length and 2 standard shams: 26 inches width x 20 inches length, King duvet set includes: 1 duvet cover: 96 inches width x 110 inches length and 2 king shams: 36 inches width x 20 inches length. This is a super soft brand of flannel duvet cover. I'm very impressed by how much this cover feels like a cloud after washing. The texture was very smooth before washing, almost felt like a satin cotton material, but after washing and drying in normal cotton wash cycles in my Samsung set the duvet cover fluffed up completely, showing short velvet like material surface. No pilling yet for me also after wash. Just the ideal kind of even softness and warmness. It makes sleeping in it in this wintertime so indulging. Investing in a quality flannel duvet cover is truly worthwhile, and this brand definitely achieves what it says. So basically all is amazing, even the patterns of the penguin skiing look cute, but I took one star off because I was not sent the pattern I ordered. I ordered the owl pattern queen duvet cover, but I was sent the penguin skiing pattern. It's quite annoying when you don't get what you order, and I did not send it back as it's too much trouble for me and the penguin one even though color is slightly monotonous without green and blue, is still cute and was in my consideration before I ordered. I do hope Overstock can reimburse me somehow for the obvious mistake.